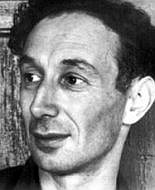 Alfred Jules Ayer (tamién conoixito como A. J. Ayer), naixito de Londres o 29 d'octubre de 1910 y muerto en ixa mesma capital o 27 de chunio de 1989, estió un filosofo y pedagogo britanico, que ye considerato o pai d'o positivismo lochico, y que estió qui divulgó en o Reino Unito as teorías d'o Cerclo de Viena. 1936: Language, Truth, and Logic, Londres, Gollancz. (2a. edición, 1946). 1940: The Foundations of Empirical Knowledge, Londres, Macmillan. 1954: Philosophical Essays, Londres, Macmillan. 1956: The Problem of Knowledge, Londres, Macmillan. 1957: "The conception of probability as a logical relation", en S. Korner, ed., Observation and Interpretation in the Philosophy of Physics, Nueva York, Dover Publications. 1963: The Concept of a Person and Other Essays, Londres, Macmillan. 1967: "Has Austin Refuted the Sense-Data Theory?" Synthese vol. XVIII, pp. 117–140. 1968: The Origins of Pragmatism, Londres, Macmillan. 1969: Metaphysics and Common Sense, Londres, Macmillan. 1971: Russell and Moore: The Analytical Heritage, Londres, Macmillan. 1972: Probability and Evidence, Londres, Macmillan. 1972: Bertrand Russell, Londres, Fontana. 1973: The Central Questions of Philosophy, Londres, Weidenfeld. 1977: Part of My Life, Londres, Collins. 1979: "Replies", en G. Macdonald, ed., Perception and Identity: Essays Presented to A. J. Ayer, With His Replies, Londres, Macmillan; Ithaca, N.Y., Cornell University Press. 1980: Hume, Oxford, Oxford University Press. 1982: Philosophy in the Twentieth Century, Londres, Weidenfeld. 1984 Freedom and Morality and Other Essays, Oxford, Clarendon Press. 1984: More of My Life, Londres, Collins. 1986: Ludwig Wittgenstein, Londres, Penguin. 1988:Thomas Paine, Londres, Secker & Warburg. 1989: "That undiscovered country", New Humanist, Vol. 104 (1), mayo, pp. 10–13. Zaguera edición d'ista pachina o 18 nov 2013 a las 19:32.